The law enforcement ace is championing the safe alternative to Tasers. Private investigator Bo Dietl, has a plan to save lives with a new, non-lethal invention in crook catching — the BolaWrap. The New York-based former top cop said he can bring an end to police forces shocking suspects to death with Taser guns thanks to the new invention — a futuristic, Batman-worthy net which is fired from a handset and can safely take bad guys down from up to 25 feet away. Electro-shocking https://radaronline.com/videos/bo-dietl-tests-batman-style-bolawrap/Taser guns have been cited as a cause or contributor to over 150 deaths when used by police across America, a Reuters study revealed. Dietl has even convinced former Taser co-founder Tom Smith to champion the non-lethal device, and he has joined Wrap Technologies, Inc. as the company’s new president. “I am excited to support law enforcement helping foster closer ties with their communities while decreasing risks,” he added. 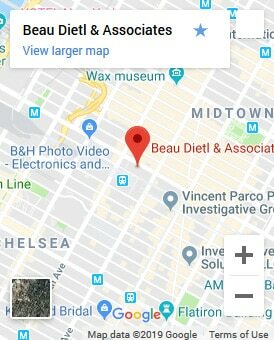 Dietl founded the investigative firm Beau Dietl & Associates, which has led him to look into a number of high profile cases, including the murder of JonBenet Ramsey. Dietl, who recently appeared in the Martin Scorsese series Vinyl, has hailed the BOlaWrap as a “Miracle solution”.